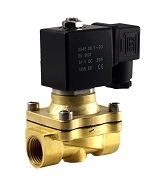 WIC Valve specializes in the field of design, developing, producing and distributing of high quality process valves and fittings, including electric solenoid valves, air actuated ball valves, air valves, process valves, steam valves, water solenoid valves, anti corrosion valves and air push in fittings. Founded in Silicon Valley, USA, we take the advantage of bringing in American professional expertise and advanced engineering, which work together with Chinese advanced equipment, technique and craftwork to ensure products of satisfactory quality, attractive design, competitive price and user-friendly application. 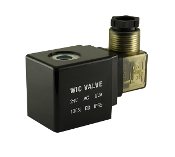 Partner with an extensive network of high quality ISO certified valve manufactories and suppliers in China. 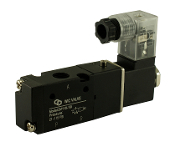 WIC Valve is committed to delivering excellence to every customer. To meet the ever-changing market and customer demands, we equipe to provide private labeled and customized products with special and configuration requirements in high quality, pricing, support and service. 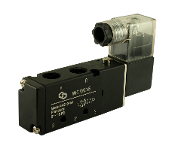 WIC Valve offers a wide range of solenoid valves for industrial applications such as process systems for industrial gas, chemical, pharmaceutical, tanks, trailers, package systems, gas & liquid flow control. 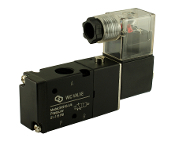 Solenoid valves are available in 2 way , 3 way, and 4 way valves with AC & DC voltage ratings. 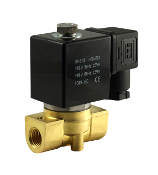 Solenoid valve types include normally open & normally closed are suitable for industrial applications. 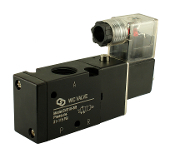 Solenoid valve component materials include Buna N (NBR), EPDM, Viton, Teflon (PTFE) & Silicone. 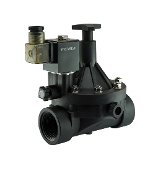 Valve body materials include brass, stainless steel, CPVC, polypropylene & nylon. Sizes are available from 1/8" to 2" inch NPT. We invite you to browse through our store and shop with confidence. WIC Valve welcomes your inquiry and cooperation. We are looking forward to assisting you with all the your needs. 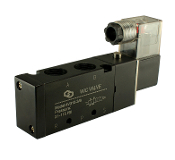 3/8" 3 Way 2 position Air Directional Control Solenoid Valve 1/4" Inch Normally Open Fast Response Electric Solenoid Valve Pneumatic 4 Way Air Directional Control Solenoid Valve 3/8"
WIC Valve places the highest emphasis on strict supervision and inspection to ensure the outstanding quality. 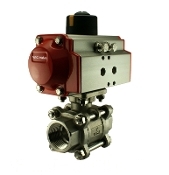 Every valve is subjected to a leakage and endurance tests and all of our products are ISO 9001 and CE certified. 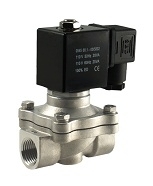 Our mission is simple, we strive to provide the best operational safety valve and excellent service at the lowest prices possible for our customers. We take great pride in our company, our commitment to customer service and in the products we sell.